As you might have noticed, a new document has been leaked by Edward Snowden. The document that got leaked holds numerous secrets which the NSA does not want you to know. A while ago this document got released by Glen Greenwald. Edward Snowden had send the classified information to Glen so he could use it for research and publication goals. 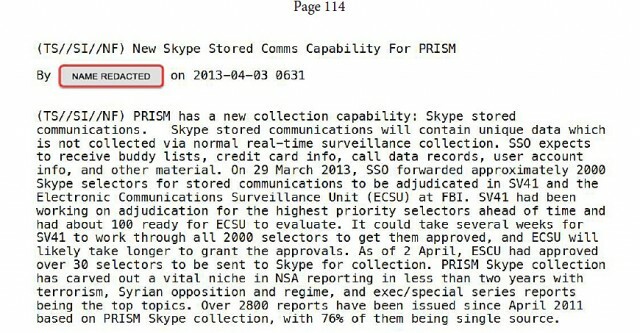 The first thing which you will notice once you take a look at the leaked document is the fact that the NSA has updated their PRISM tool with new Skype exploit that will allow the NSA to collect more valuable information from their victim. As you can imagine, Skype is used by millions of users on the internet. Hacking these users would provide a massive input of valuable information which agencies can use to target their terrorists, criminals and spies.